Surviving Zombieland! Part II: the cure – Called. Convicted. Converted. Having already discussed the fact that the spiritually dead walk among us, we move on to the next important question, the question about cures? How does a zombie go about changing from walking dead to alive? 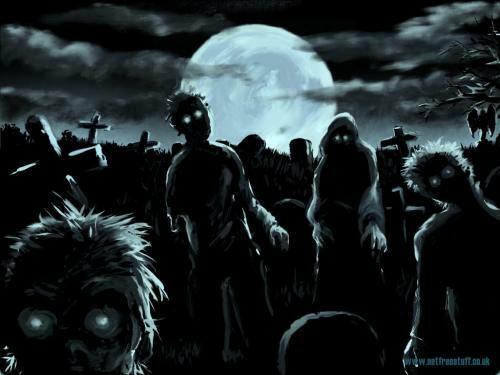 If you know anything about zombies, what is clear is that they are only out to get some food, everything they do is either in search of food or to get to food, and by food I mean the flesh of the living…. not a pretty site. Notice the things Scripture says spiritual zombies are unable to do: see the kingdom of God (John 3:3); come unto Christ (John 6:44); believe, see or understand the truth (John 12:27-39); good, understand, fear God (Romans 3:9-19); submit to the law of God (Romans 8:7-8). In light of what zombies can and cannot do what does that say about the cure for zombies? Well firstly it should be readily apparent, that zombies cannot cure themselves! In fact not only can’t they do that, but they have no desire to cure themselves (John 3:19). If you get a whole lot of zombies to come to a rally by dangling some meat from the ceiling, don’t think that you have done anything great, you have drawn them with the very thing that makes them fearful to us. In the same way those churches that seek to draw spiritual zombies by using things that attract spiritual zombies, are not doing anything really great. 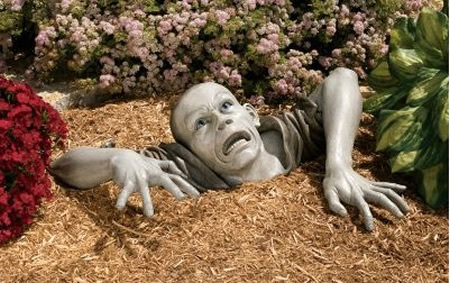 A spiritual zombie inside or outside a church is still a spiritual zombie. The only cure for spiritual death is God’s Word and the work of the Spirit in regeneration (John 3v3-5; 1 Peter 1:23). Anything short of that won’t make the dead alive. This should inform the way we do church, the way we evangelise and they way we minister to this world.